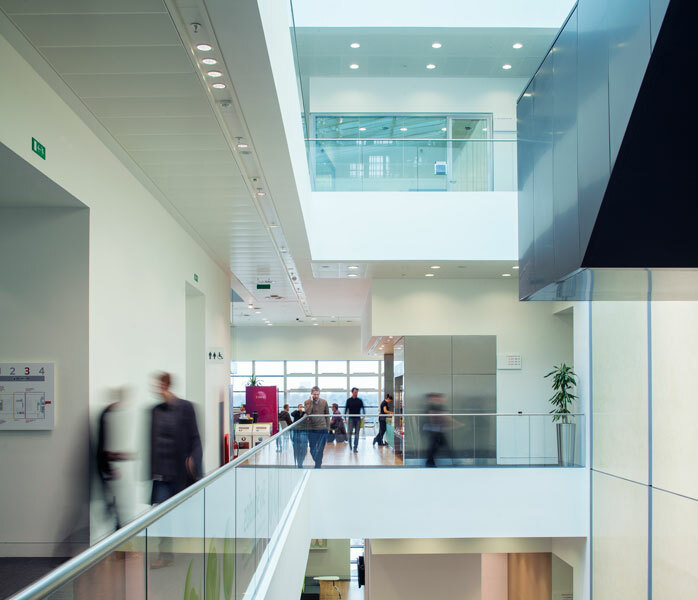 Sky Studios are world leading and sustainable headquarters for BSkyB in West London. 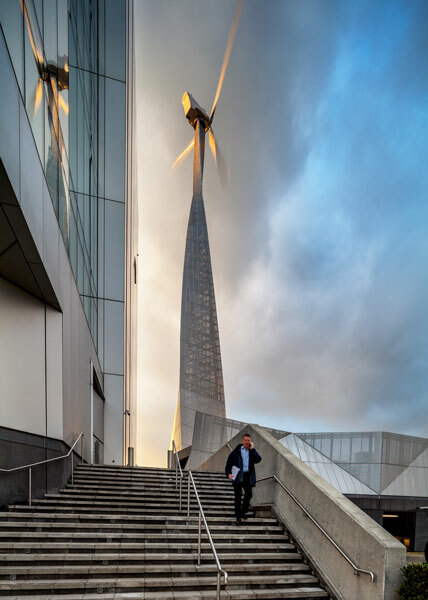 The Studios are more an indoor city than a building, envisaged as a ‘factory for creativity’ and home for all of Sky’s media outlets, including a single home for Sky Sports. 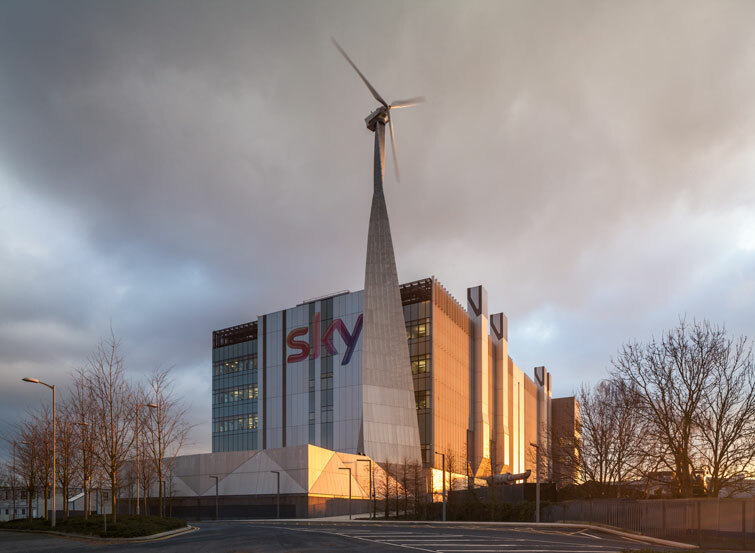 Incorporating desk space for over 1300 staff, 8 recording studios, a 700-server data centre as well as post production and transmission facilities, it houses everything needed to make, shape and share Sky’s TV content. 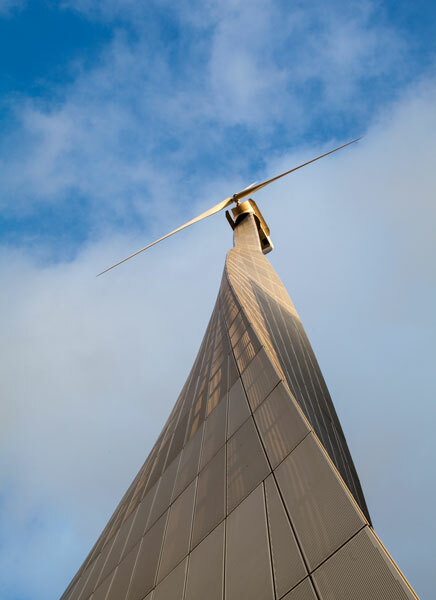 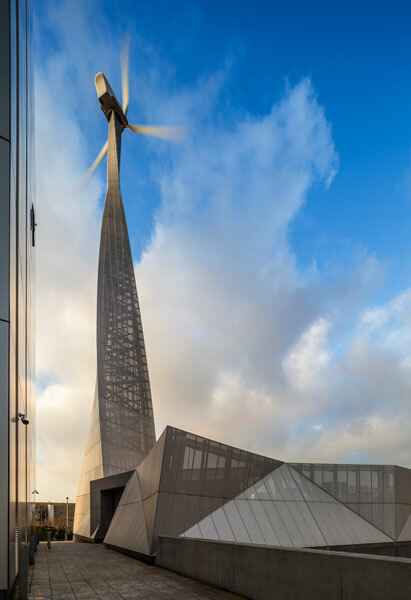 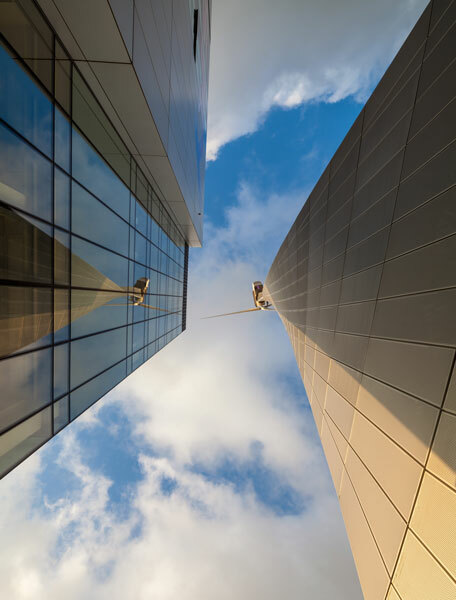 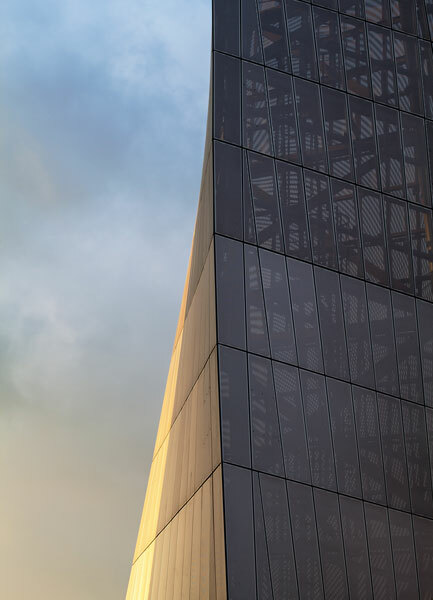 Sustainable innovations include a biomass-fueled cooling, heating and power plant, one of the UK’s largest urban wind turbines and a rainwater tank that provides 100% of the building’s water. 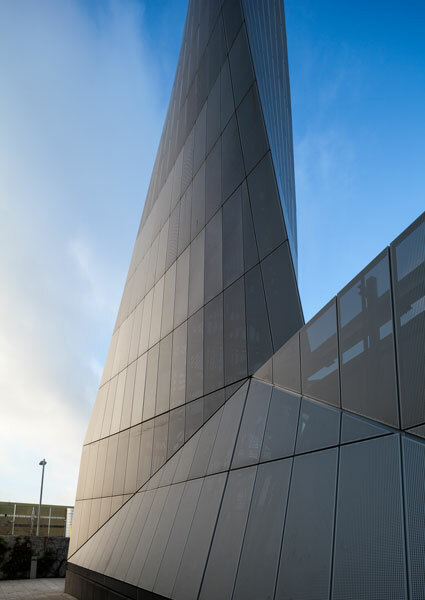 A groundbreaking insulated ventilation system lets air in and keeps noise out, making Harlequin 1 the first naturally ventilated television studio on Earth. 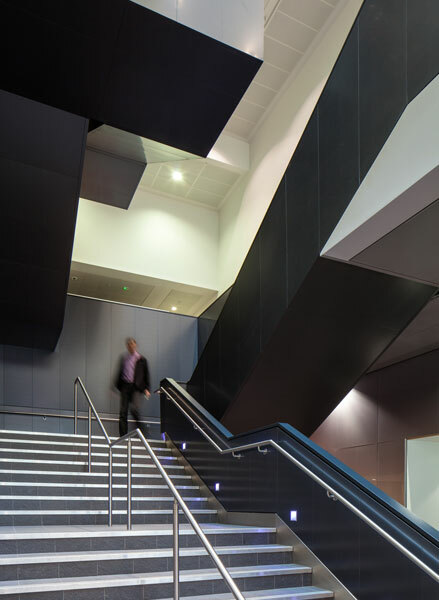 A giant atrium in the communal entrance encourages interaction between all 900 employees, and breakout zones throughout the building promote collaboration and creativity. 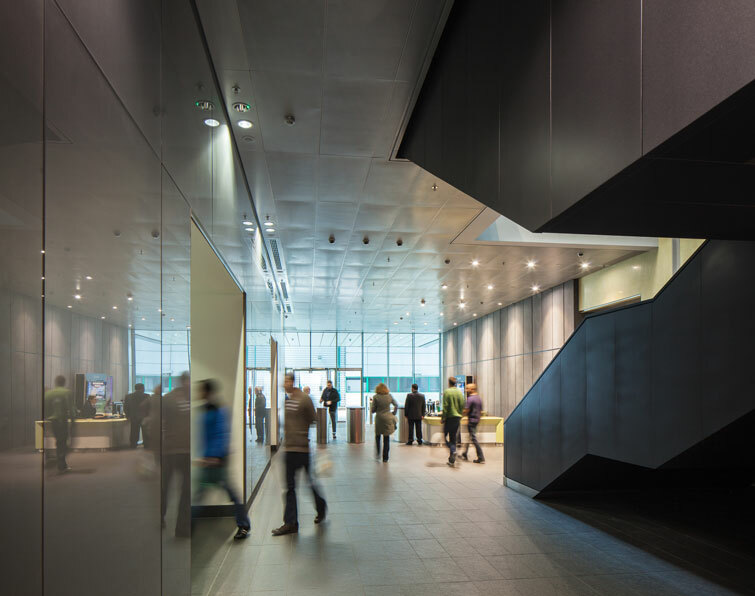 The spaces are organised around principles that encourage communication and social interaction.